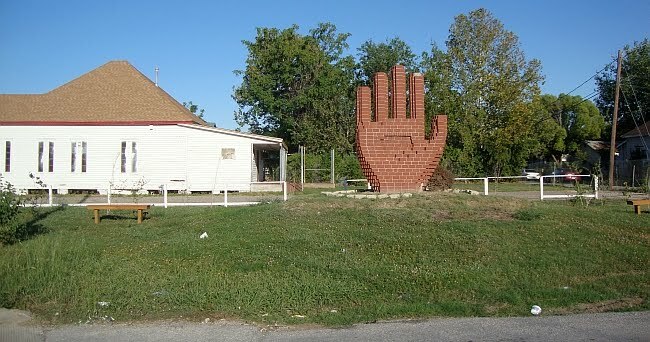 I was up on Lyons in the Fifth Ward to see the official opening of Havel & Ruck's Fifth Ward Jam, when I saw this hand. I don't know if Tanya is the sculptor, or if the sculptor had dedicated this work to Tanya, or if this is basically a piece of graffiti. 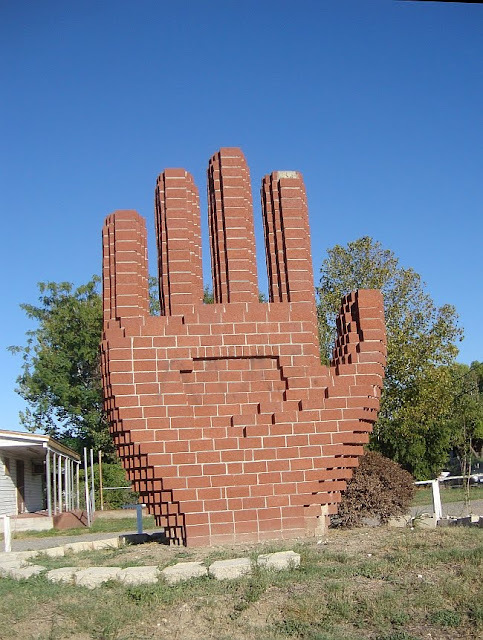 This eccentric piece of public art is at the intersection of Lyons and Sydnor, not too far from the St. Arnold's Brewery. Do any Pan readers know the story behind it?